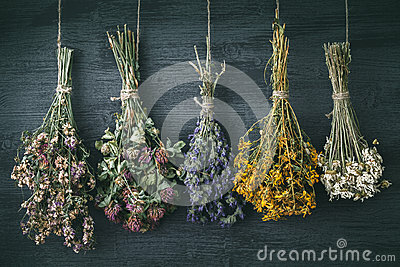 Hanging bunches of medicinal herbs and flowers. Herbal medicine. Hanging bunches of medicinal herbs and flowers. Herbal medicine. Retro toned photo.